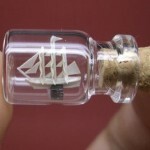 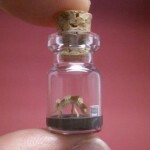 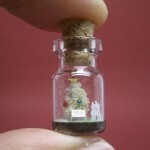 Japanese artist Akinobu Izumi creates miniature worlds within small glass bottles (H 22m / 0.9 inches, D 12mm / 0.5 inches), depicting scenes from a sunken ship, a couple in a park, underwater creatures to dinosaurs. 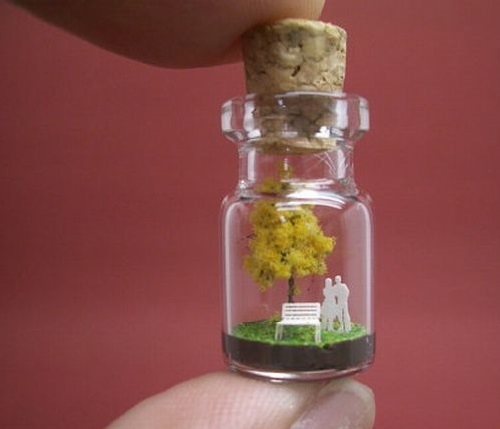 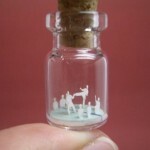 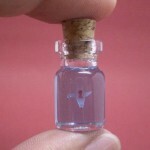 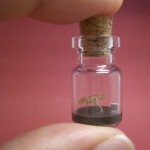 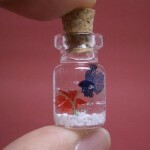 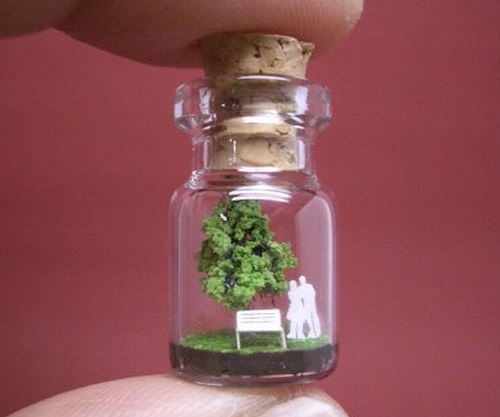 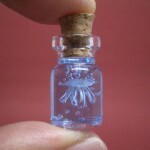 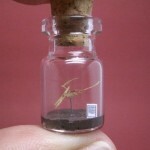 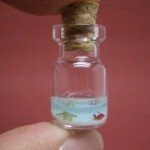 Tokyo-based artist and architectural model maker has created the series “A Tiny World in a Bottle”. 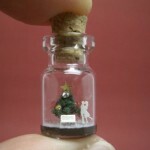 Using intricately cut paper, little pieces of cork and when necessary, liquid paraffin for a floating effect, he fills thumb-size bottles with creatures, ships and curious scenes.